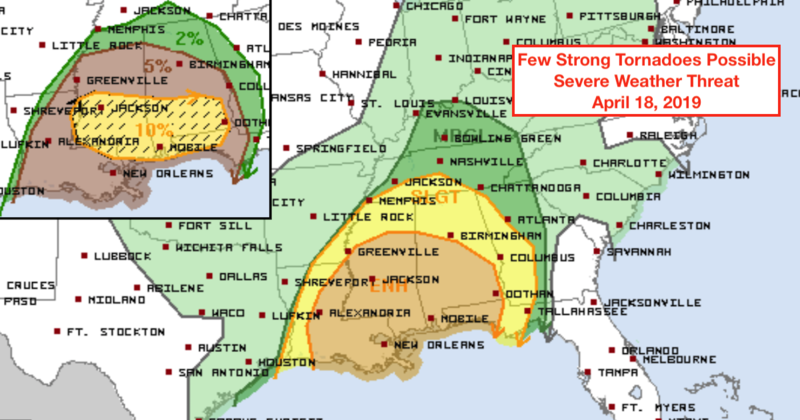 A strong cold front will interact with increasing Gulf moisture and plenty of shear to bring a chance of severe weather to the area from Wednesday afternoon into Thursday. 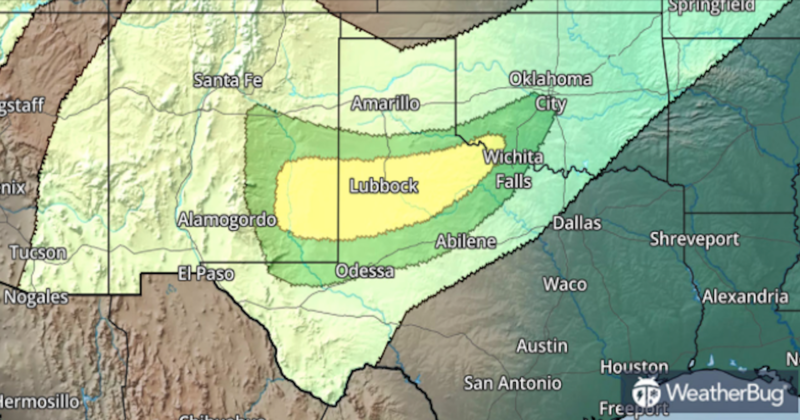 All modes of severe weather will be possible including tornadoes and flash flooding. 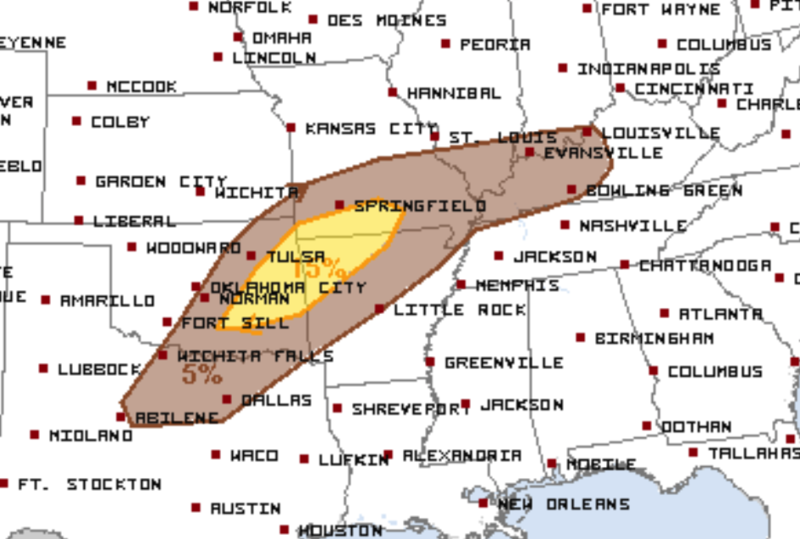 Wednesday Afternoon into Thursday morning for southwest into south central Missouri! A large upper trough — prevalent in wv imagery from the eastern Pacific into the Great Basin/Intermountain West — will dig southeastward today and then make steady eastward progress across the Rockies tomorrow/Day 2, gradually emerging into the Plains states through the second half of the Day 2 period. As the trough advances, it will impinge on southeastern U.S. ridging — with a resulting sharpening of the height gradient across the central U.S. reflective of an increase in southwesterly flow magnitude aloft across this region. At low levels, a broad zone of warm advection will persist downstream from the advancing upper system. During the second half of the period, low-level cold frontogenesis is expected, with a surface low to shift across the Oklahoma vicinity and into the Ozarks overnight, and cold air surging southward across the central and into the southern Plains in the wake of the low. By the end of the period, a warm front is progged to be shifting northward across the Ohio Valley, with a cold front extending from southern Missouri southwestward across the southeast Oklahoma vicinity and eastern/southern Texas. 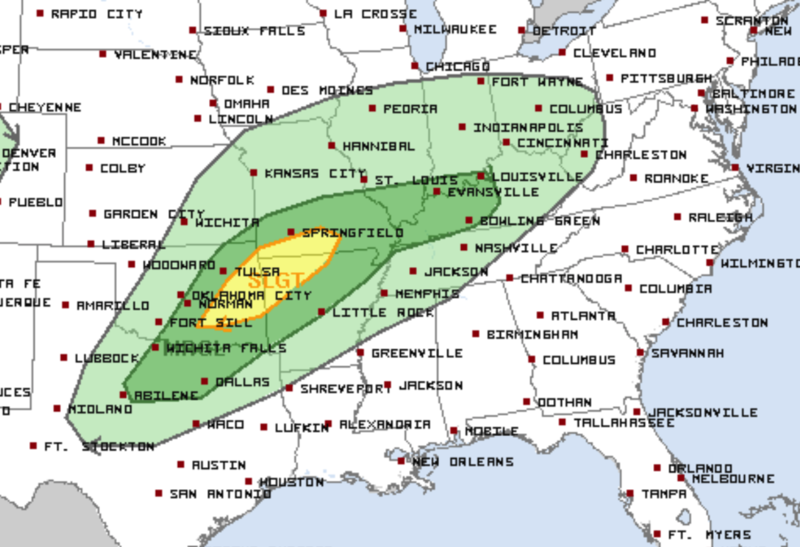 Several rounds of largely elevated convection — driven by ascent arising from persistent low-level warm advection — are expected to shift eastward across the KS/OK/MO/AR region and into the Ohio Valley from late in the Day 1 period through Wednesday/Day 2. 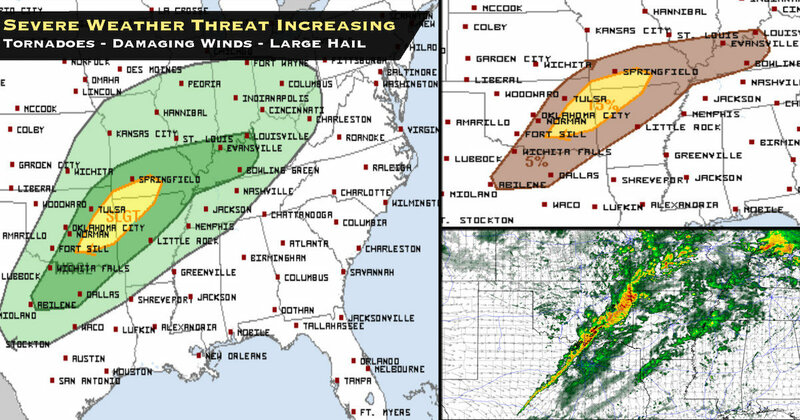 With flow gradually increasing but a weakly stable boundary layer expected to persist across the region well into the afternoon into the evening, severe risk should remain limited at best. 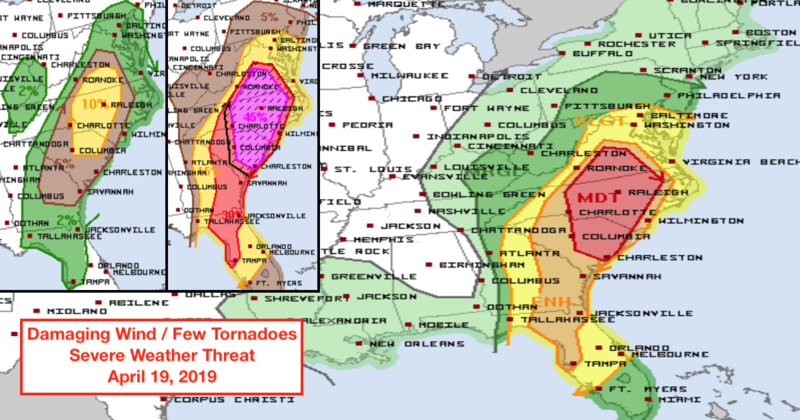 Still, with strengthening shear and gradual — though weak — destabilization underway, a locally damaging wind gust, or even a brief tornado with a rotating cell, cannot be ruled out. Later, as the cold front sharpens/advances, and low-level warm/moist advection persists, an increase in convection, and increasing potential for near surface-based storms, will occur. While convection developing within this regime should become increasingly linear/aligned with frontal forcing, potential for a couple of tornadoes within the line is apparent, given the enhanced/favorable shear. Locally damaging winds will also be possible within stronger/complex segments of the convective band. Storms will spread steadily eastward, persisting through the end of the period across the southwestern Missouri and western Arkansas vicinity.